We offer solutions for any healthcare facility with a focus on infection control, including scrub exchange, lab coat and privacy curtain programs. From napery and tablecloths to chef coats, aprons and beyond, we work to elevate the quality and appearance of your establishment. We are committed to providing high-quality, professional rental uniforms that not only clothe your employees, but have the ability to inspire them. Every week, nearly 200 Morgan trucks deliver hundreds of thousands of pounds of laundry from our plants coast-to-coast to thousands of customers. Our national footprint means the flow of Morgan products is significantly less likely to be interrupted, even if an emergency impacts a local plant. 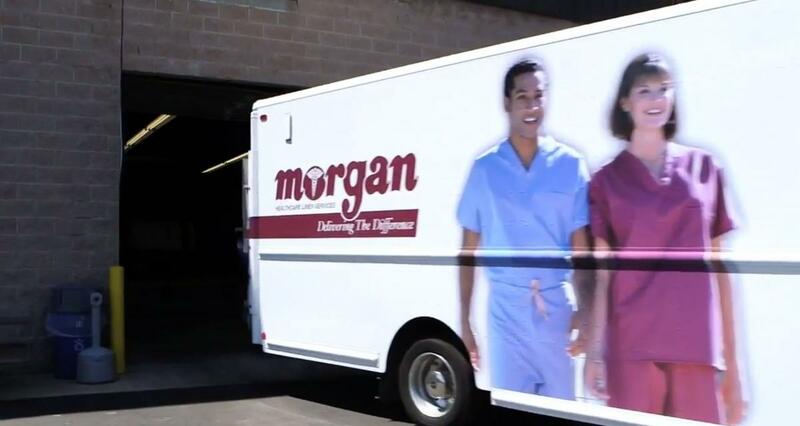 All Morgan facilities nationwide are company-owned, meaning we share best practices, standardized processes and a commitment to deliver great service at a fair price. We have been providing linen and uniform services for all types of facilities since 1887. Morgan is the first coast-to-coast linen and uniform laundry operation that TRSA (Textile Rental Services Assoc.) has certified to its Clean Green international standard, recognizing leadership in sustainability and conservation.